Preparation for any catastrophic situation should start with storing the most basic and essential items necessary for survival. After air, water is the most important thing for us to survive. Make it sure that you are storing sufficient quantities of drinkable and potable water for any disaster preparation. Following any disaster, it might not be safe to drink and use running water in the taps. The general recommendation is to have 72 hour or 3-day supply of water per person in the household for the preparation of disaster kit. One gallon per person for each day can be sufficient for drinking and sanitation purposes. This means store 3 gallons per person for your disaster kit. You can also have water purification tablets in your disaster kit to clean any extra unfiltered water available. After water, food is the second most important thing that should be part of any disaster preparation. For disaster kits, the most suitable option is to get non-perishable food items. These foods have long shelf-life and don’t require refrigeration. Ready-to-eat canned vegetables and fruits, cereal bars, granola bars can be good food options for the preparation of any disaster kit. If you or any of your family members is on prescribed medications then it is better to have 3-4 days extra supply of it in case of any natural disaster where you can’t make a visit to nearby pharmacy. You should also have some over-the-counter medications such as antihistamines, painkillers, anti-diarrheal, laxatives and eyewash in your disaster kit. You can get a readymade first aid kit or make one of your own. For a DIY kit, keep sterile bandages, adhesive tapes, band aids, burn and antibiotic ointments, hand sanitizers, towelettes and instant ice packs. In the aftermath of many natural calamities, electricity goes off. To prepare for a power blackout, it is necessary to have flashlights with extra batteries in your disaster kit. 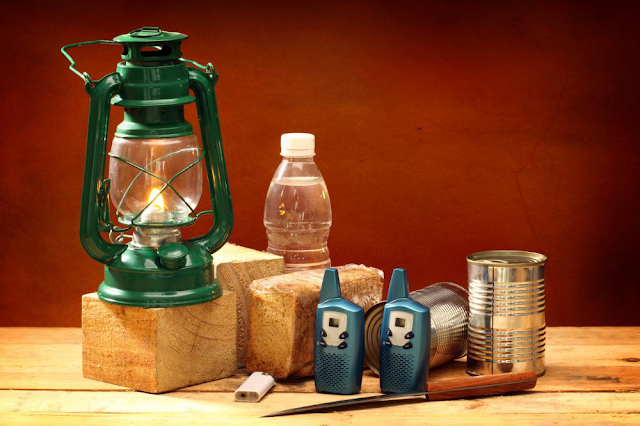 Having battery-powered radio with extra battery pack should also be part of the disaster kit. In case of extreme situations, it might be dangerous to reside in your home. To prepare for such situations, it will be sensible to get some supplies that can be in your emergency stay in a shelter outside. Emergency ponchos, solar blankets, and tube tent can be part of your disaster kit if you have to stay outside of your home in any emergency. Preparing yourself for any disaster can provide you with a piece of mind regarding the protection of your family. You can also get off the rack disaster kits that have the essential supplies for 72 hours.